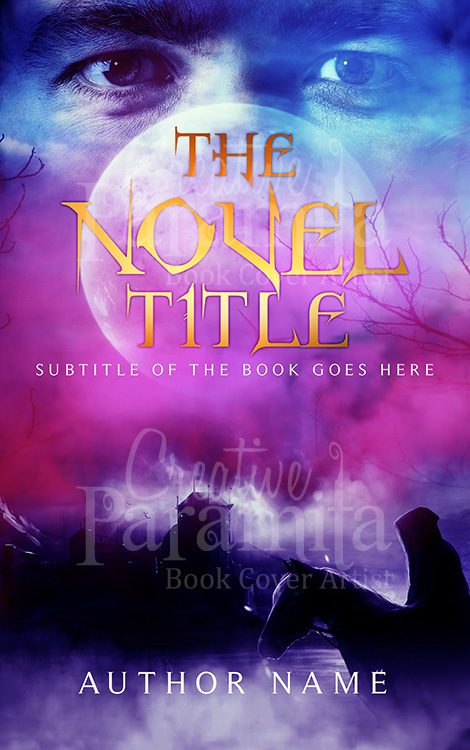 Designed for horror thriller suspense story books, the premade book cover secret killer is a stunning eye catchy design available for sale. 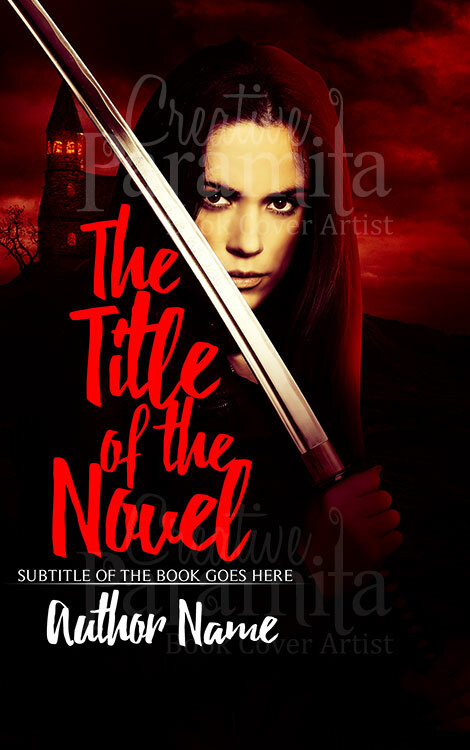 The ebook cover has a ominous characteristic feel to the design, as is evolves around a mysterious women with bloody red hands and red lips while her face has discolored skin. 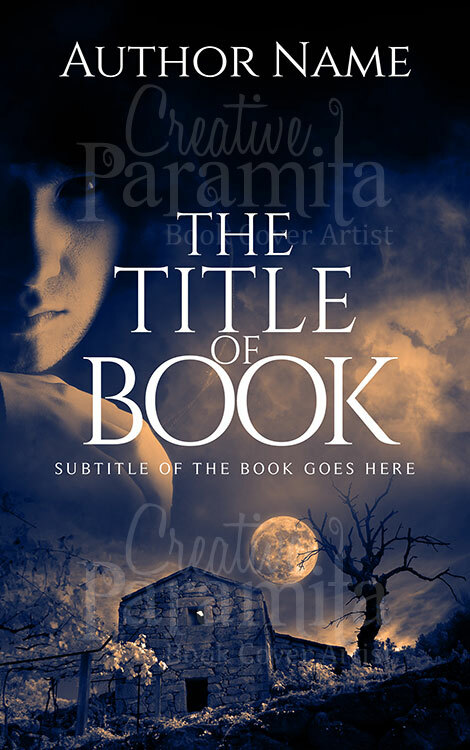 She occupies the upper half of the book cover design shrouded by dark clouds. 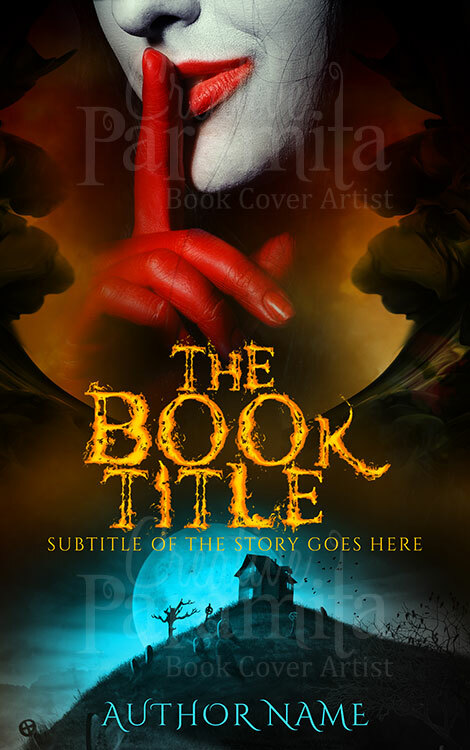 towards the lower part of the cover design is a house at the top of the hill surrounded by graves and bare trees. Its is night time and the moon is out, can be seen behind the house it is huge and almost looks inauspicious. 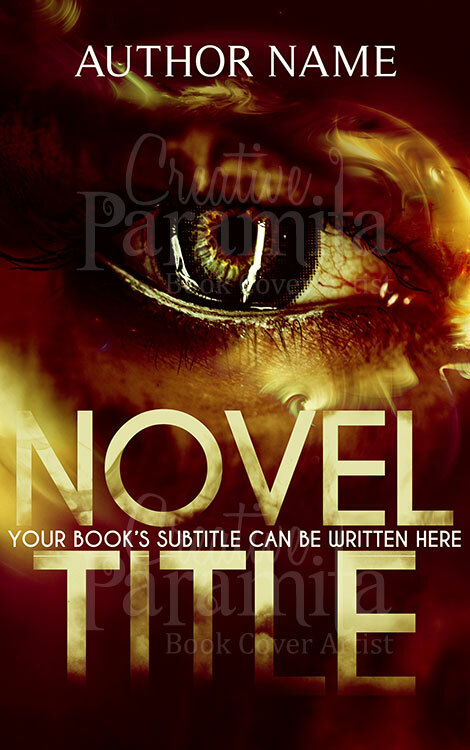 To intensify the gloomy effect, title of the book cover is written with fire.